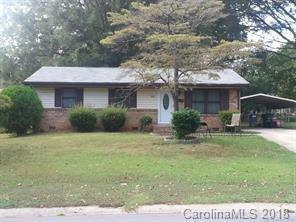 5307 Snow White Lane, Charlotte, NC 28213 (#3411147) :: Robert Greene Real Estate, Inc. This 3 bedroom brick home is perfect for owner occupants or investors looking for a good rental home. There are hardwood floors throughout. There is a room off the kitchen that can be used as a den or office. The air conditioner unit in the Livingroom is not operable. The HVAC is a newer system.